One of our clients thought they were steadily growing organic traffic after some changes to their site. It turns out they were recovering from a Google algorithm penalty they didn’t even know they’d been hit by. This week I share how you can use Google Analytics to prevent the same thing from happening to you. 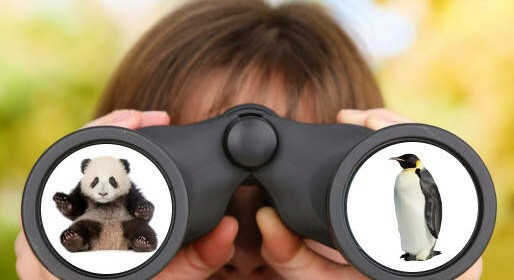 Keywords are a critical part of your site’s traffic generation strategy. But what if you can’t identify the keywords people are using to access your site? Keep reading to see how Google’s encrypted search update will affect your bottom line—unless you start to rethink your SEO strategy altogether. On Friday, Google unleashed a change that search experts have called one of the most significant changes for online marketers, ever. And if you weren’t looking for it, you probably missed it. What was the update? Google now serves up all search queries on an encrypted connection. Who Says Bank Websites Have to be Boring and Ugly? 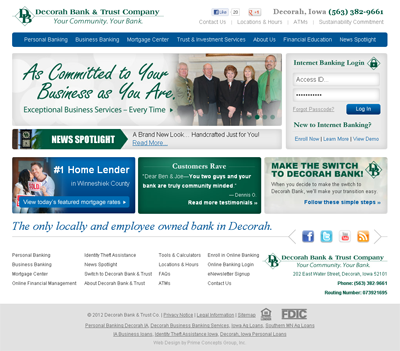 Bank Website Design and Development by Prime Concepts Group is Anything But! What comes to mind when you imagine a bank website? Most people picture bland, colorless and text-heavy, but it doesn’t have to be that way– nor should it! Prime Concepts Group is experienced in bank website design, bank website development and bank website search engine optimization. In fact, within the last two months, we’ve designed and developed two beautiful bank websites– not to mention a third bank website we’re working on as we speak! Want to see more of the work we’ve done in bank website redesigns? 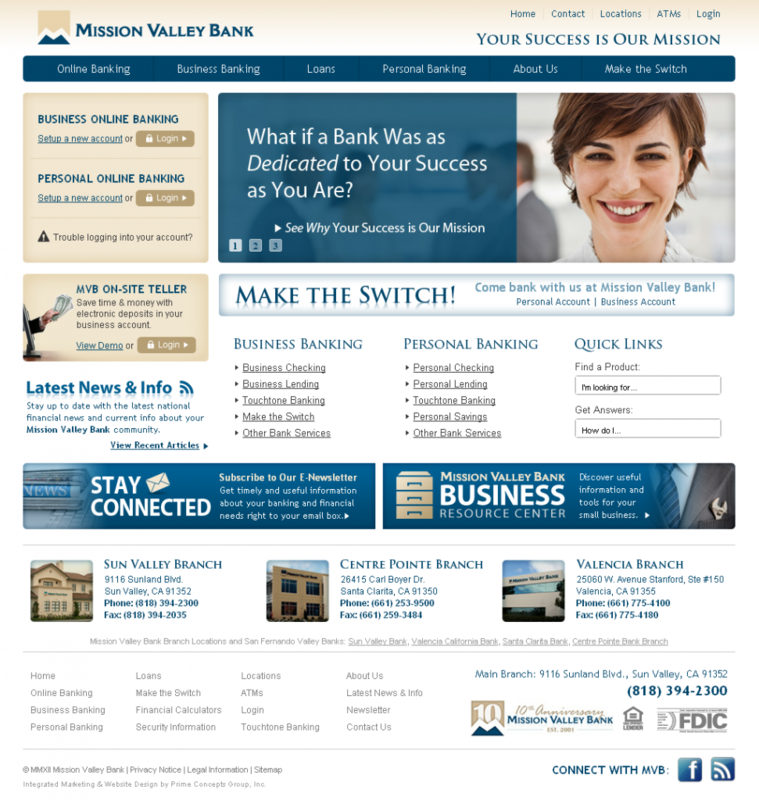 Click here to see how we can take your bank’s site to the next level. Take a moment to check out the impressive results and let us know what you think! 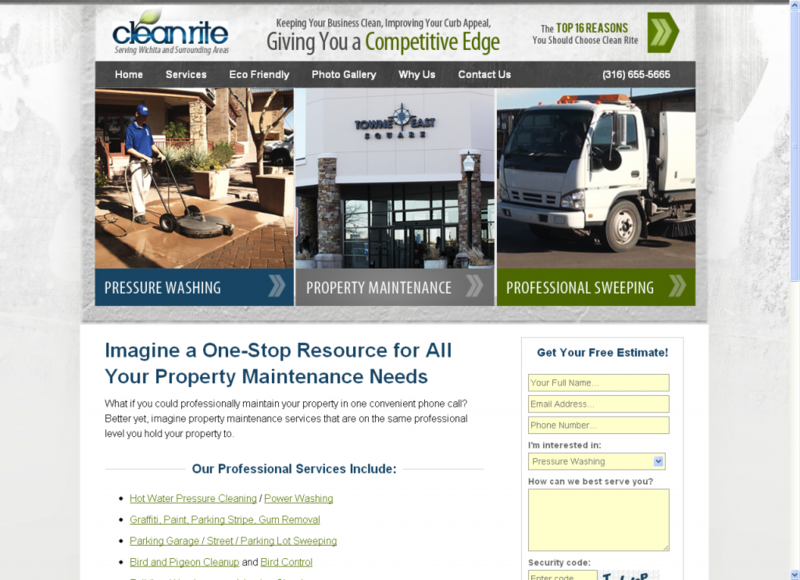 When one of our recent clients, Art Leger, engaged Prime Concepts to create a website for his Wichita, KS company, Clean Rite Pressure Washing & Sweeping, his main goal was to get top rankings in local search results. 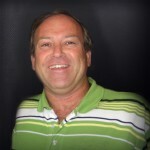 Prime Concepts worked with Art during his integrated marketing project to identify the best keyword and SEO strategies for his business with the goal of getting Clean Rite top search engine rankings on his business’ targeted keyword phrases. Needless to say, Art is pleased! There are many factors involved, but having a large amount of relevant website content about your products, services and solutions is one key. The more fresh content you have related to the main search terms and stages of the buying processes you’ve identified, the more likely the search engines are to raise your rankings. You should also consider your keyword placement and keyword density on the body of your web pages. Think specific keyword phrases— not “keywords.” Why? Due to the extreme amount of competition for general terms in the search engines, you stand a far better chance to rank well for specific phrases where there is less competition. Duplicate website content… This is a simple concept, mostly misunderstood and easily fixed. I’m going to approach this from a few perspectives and give you the links and tools that can help you. 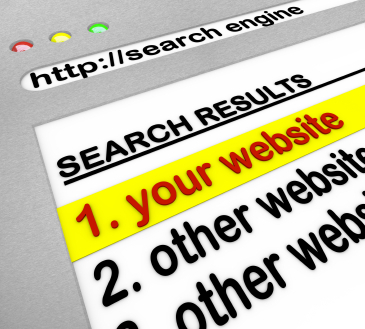 First, understand that it’s the search-engine’s goal to provide the best search results for the user. While Google, Bing and Yahoo rank website pages a bit differently they all have the same outcome of a positive and relevant user experience. That experience comes from listing unique pages on their search result pages (SERPS). For this blog posting, I’m just going to use Google as “the search engine”. 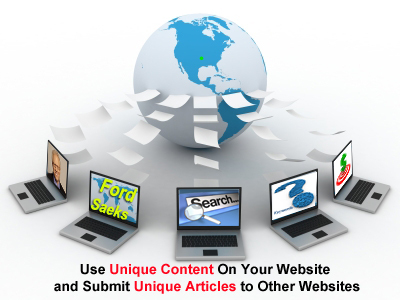 Duplicate content generally refers to blocks of text or entire pages that are virtually the same.